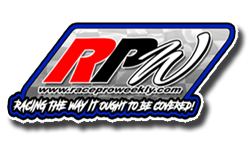 By: TIM BALTZ – HOGANSBURG, NY – There are many races people would like to win in their career at the Mohawk International Raceway. It could be the Memorial Cup, the DirtCar 358 Series race and even possibly a victory with the Super DirtCar Series on home turf. But the one race this weekend is something all will have on their bucket list. The annual Mohawk International Raceway Kids Tire Race will take center stage this weekend which always provides exciting action for the young fans and possible future track champions at MIR. All kids are encouraged to get to the speedway early and sign up with the Kids Club to ensure your spot in this major once a year event with a big trophy going to the winner of this prestigious event. With the Kids Tire Race taking the spotlight all 5 divisions will have a tough act to follow as a full show will be in place and the amazing story continues to be the ongoing battle with Tim Fuller and Chris Raabe versus the field in the Twin Leaf Convenience 358 Modifieds. Tim Fuller picked up his 2nd win in a row and 5th of the season this past Friday night to go ahead 5 to 4 in the head to head battle. Other drivers such as Lance Willix Brian McDonald Louie Jackson Jr. Lee Ladouceur John and Madison Mulder have not thrown in the towel just yet. These drivers have led many laps and have been in the hunt to try and break the string the 2 former track champions have had on victory lane. While others try to figure out how to get to victory lane in the Modified ranks the Crossroads Tobacco Sportsman division 8 different drivers have made their way to the winners circle in the 10 events held. Defending track champion Jonathon Ferguson and Brianna Ladouceur lead all drivers as they won the first 4 events of the year. Ladouceur has rebounded after a tough year in 2017 and is now in line to challenge for her first track title. Johnathon Ferguson has been steady since his 2 wins and will lead all drivers and do all he can to capture his 2nd straight track title. In Green’s Performance Mod Lite action Dan Reif has been the driver everyone has had their eye on. 3 wins in 2018 have made him the driver to beat this season, defending track champion Nick Mallette who already has a win this season is keeping Reif within striking distance as is Harley Brown who ended a 2 year winless drought and is well in the battle for this year’s title. A new comer to the Bandit ranks RJ Tressider leads the points off the strength of 1 win and an impressive 4 runner up finishes and is looking to secure his first title. Nick Perham and Gary Sharlow along with Mike Pecore are serious title contenders and have a plan in place to narrow the point margin. Jason Rose has been the dominant driver in Novice Sportsman. After winning his 3rd feature of the season Rose will now make the leap into the regular division but does have a wealth of experience racing against the top drivers in the division weekly, taking a career best 6th place finish earlier this year in Cornwall. Many questions to be asked, one night to find out the answers, it all takes place this weekend. Be sure you have your schedule clear and be ready to go racing. 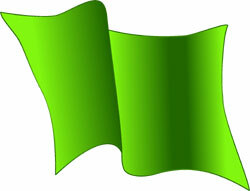 The green flag drops at 7:30pm.